We have 50 codes for the Call of Duty: Black Ops 4 PC beta up for grabs! Who wants to play the next Call of Duty early, then? Of course you do. And we're now giving you the chance to do exactly that as we have 50 codes for the PC beta of Call of Duty: Black Ops 4 to give out. If you want in you'll need to keep on reading below to find out how to enter the competition – we'll also let you know what exactly you'll get to play in the beta. First thing to note is that the PC version of Black Ops 4 is available exclusively on Battle.net, so you will need an account on there in order to play this beta, and also the game at large when it comes out on October 12. 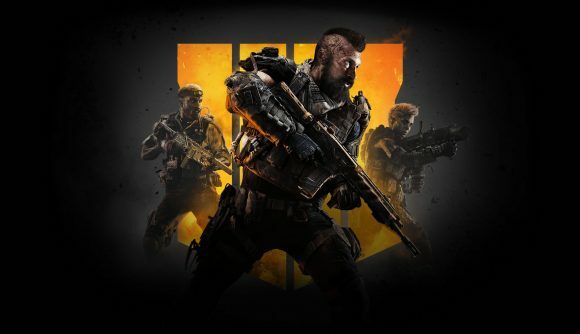 Secondly, the PC open beta for Black Ops 4 starts on August 10, at 10:00 PST, and runs through August 13th, at 10:00 PST. That's a whole 72 hours of playing what will undoubtedly be one of the biggest shooters coming this year. Just make sure your PC meets the minimum hardware requirements for the beta and you should be golden. Right then, in this particular beta you’ll get to play Black Ops 4’s multiplayer mode. That’s team deathmatch and those kinds of modes – the usual. Do note that this won’t include the new Blackout mode – the game’s take on battle royale – as there will be a separate beta for that in September. Everyone who participates in this beta will be eligible for rewards. This includes a unique beta test calling card, and for anyone who manages to get max rank in the beta, there’s a single permanent unlock token for you to use on any piece of Create-A-Class content. If you want to win a Call of Duty: Black Ops 4 PC beta code then you need to enter the giveaway via the widget below. Every action you complete is worth one entry into the giveaway, with the more actions you complete increasing your chances of winning.